The icy, full flavor experience of Matterhorn, our premium menthol infused with ripe, sweet, authentic strawberry. This is my #1 vape all day long! I always have this stuff on hand. Smooth strawberry flavor with a non sharp menthol undertone. Freaking amazing!! HIGHLY RECOMMENDED! I hope this will convince you not to get this stuff because my thought behind it is: less for you means more for me. I'm afraid that if to many people find out about this stuff and on how good this is there won't be anything left for me. So I urge you to stay away from it ! Damn you ! Make sure you don't tell anyone else ! I knew this would be good, and it doesn't disappoint! I like drippers so I can change flavors often, but I actually filled a tank with this stuff. 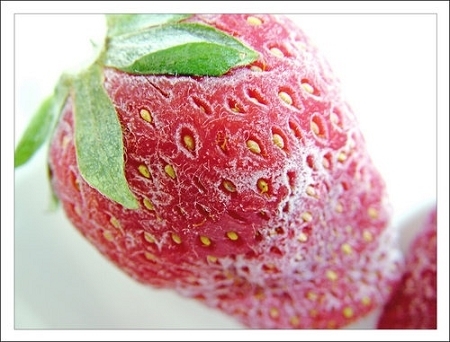 The sweet strawberry hits the middle of your tongue on inhale, leaves a sweet menthol taste on exhale. Perfect. Thanks AltCig! Flavor is spot on! This became my all day vape from the first hit. Love it! I live in Alabama and attend the Strawberry festival yearly. I have been eating strawberries since I was a tot. This juice blew me away, surprised the heck out of me. You know when you bite into a fresh strawberry and you get that taste of the strawberry plus the freshness of the vine....it tastes like that. You can actually taste the vine flavor in this juice. I really can't believe how authentic this is, amazing job guys, will be ordering this again for sure. At first, I wasn't too sure about this juice since it has a strong mint taste instead of a straight-up menthol. But, after setting it down and trying it again the next day, I love this flavor! It's so good that I can't put it down, I crave it if I'm not vaping it! The strawberry and mint taste is very balanced and it is not lacking in flavor, a perfect blend that makes you want more! This juice is to amazing for words. I was never a menthol smoker, but I wanted to try this based on my addiction to duos (strawberry/mint candies). I didn't go wrong this is a very well balanced vap! This was the first menthol vape I've ever tried and it's quickly becoming one of my favorites. You get a cool strawberry mixed with the matterhorn. This will definitely wake you up and keep you going. this was my first juice after the starter menthol and i LOVE IT!!! i have tried about a dozen other juices since then but this is still my go-to all day vape! Nah but really, this is awesome juice. I was never even a menthol smoker so I didn't think I would like this, but I wanted a menthol juice to try for vaping. I didn't go wrong with this one. I love it. It's a personal favorite now out of all my AltCig juices I've purchased and that is hard to say seeing as they are all so good. It's got great flavor and the strawberry never loses out over the menthol, ever. Vape after vape it's strawberry/menthol. Try it! Like the description - great mix of cool/cold menthol with strawberry . Nither is overtaking. Really good balance of both. I was getting more mint on inhale and berry on exhale. Not an all day vape but relaxing and satisfying . I switch 2-3 different flavors a day and pick the arctic berry at night to chill with. If you like cool menthol and fruit juices you will love this one. Vapor is great , TH is different since the mint/menthol is there but not too strong for sure. Great creation .